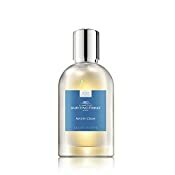 Comptoir Sud Pacifique Matin Calin Eau De Toilette Spray, 3.3 fl. oz. Bringing back a signature scent is the re-launch of Matin Calin. This gourmand fragrance is the perfect hint of milk and the sweetness of sugar candy and vanilla pod; an olfactive memory of the desire to extend the unique moments stolen in the morning.